Toontown Rewritten is open to all! Oh man. OH MAN. We didn't lock the door! In celebration of Toontown's 11th Anniversary, Toontown Rewritten has just moved into a Semi-Open Beta to give everyone the chance to play. Now, hang on to that hype for a minute. Semi-Open Beta? There was definitely a "Semi-Open" in front of that "Beta". What does that mean? If you've been following Toontown Rewritten for a while, you should know by now that we love doing things differently around here. Open Beta definitely isn't an exemption from that! 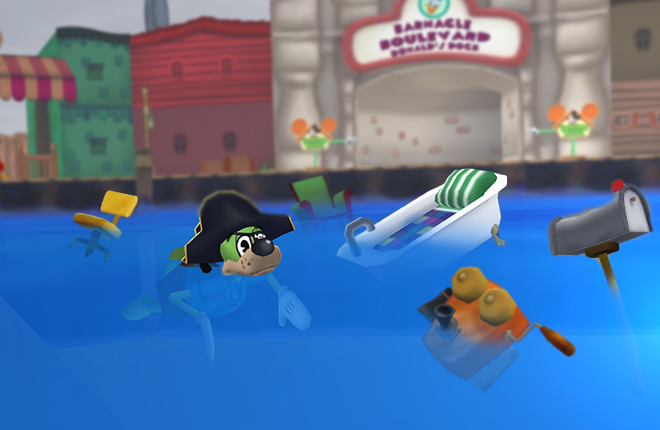 Toontown Rewritten has come a long way in the past 9 months, and we've all been working our hardest to make sure that everyone is able to play the game as soon as possible. The problem was, simply, it just isn't ready yet! Even now, we still aren't quite content with the testing to call it complete. This is where you come in. We've listened to your feedback from the giveaways, and from it we've put together an awesome system to allow everyone to have a chance to play Toontown again and help us get this game ready for release. Now, enough of the rambling. Let's learn about how to play! By hopping onto the PlayLine, you'll be put into a queue to make sure that you can enter the game as soon as a slot is available. It may take a while depending on how many people are in line, but once you reach the front you'll be able to play nonstop for the next three hours! Scheduling a PlayTime is the most reliable way to get in game, and you don't even have to wait in line! YOU get to pick the time and date to enter the game, and all you have to do is, well, show up. No lines necessary. "Beta Keys" are a one-way ticket to enter the game any time you want without waiting in the PlayLine or scheduling a PlayTime! There are plenty of ways to earn Beta Keys -- the easiest one is by simply playing. When playing the game through a PlayTime session, Toon HQ will occasionally offer Beta Key ToonTasks to earn your very own key. They won't start appearing until you get to working on tasks in Daisy Gardens, so you'll have to work hard to get it! Once you have earned a Beta Key, you can head over to the "Account" page to redeem it. Once you've redeemed it, you can open the launcher and play whenever you want! If you already have a key applied to your account, you can give it to a friend. It's easy as pie! There will be plenty of pies involved to get it, too. Keep in mind that all of these features are SUPER experimental, and part of the Beta process of Toontown Rewritten. We're going to be tweaking them based off of your suggestions, and of course the limit of people allowed in at once will expand over time. In the meantime, to ensure everyone has a proper chance, PlayTime sessions last for 3 hours at a time. The game will let you know when your time is up, then you can schedule a new one or hop back into the PlayLine! So, what are you waiting for? Click the big flashing "PLAY" button, create an account (No beta key required!) and start your journey back into Toontown. If you hurry, you may be able to get to the front of the line! Wow! Great job guys! I wasn't expecting this at all! Thats amazing! Thanks TTR team and staff! Sweet! Can't wait to get back to playing Toontown! OH MY GOSH!!!!!!!!!!!!!!!!! Thank you so much TTR! YES!!!!!!!!!!!!!!!!!!!!!! I LOVE EVERYBODY TODAY!!!!!!!!!!!!!!!!!!!!!!!!!! Wow! I will be able to play my childhood again! AWESOME! See you all inside. Thanks TTR team! YAY! Thank you Rewritten Team! You guys are awesome for this opportunity! Great!!! I can't wait to login and play! omg this is so unrealistic so proud to have followed and supported through everything and excited that it's now open beta love you all TOONS OF THE WORLD UNITE! OH MY JELLYBEANS! TOON DOWN FOR WHAT?!?! ALL TOONS UNITE! Thank you very much for all of your hard work to make this work! I can't wait to play TT again. You guys are absolutely amazing for doing this, thank you. And Happy Birthday Toontown!!! TOONTOWN IS BACK!!! WOO HOO!!! Awesome! Booked my slot - so excited!!! WOOH! I CAN'T WAIT TO DESTROY SOME COGS! I just want to tell you guys how amazing it is that you are doing this. I've been keeping my eye on Toontown Rewritten since about November, and have been wowed with the dedication you all have put into the game. As an avid Pixie Hollow player, I was happy to see someone was bringing back one of the closed Disney worlds--even if it wasn't "mine". You all are amazing people, and I wish you the best. Toons--and Fairies--of the World UNITE! WOOHOO! I have FINALLY made myself an account! Sir Max, Slate, and other people in the staff, I have to tell you something. If you're reading this, I just want to say thank you for open beta. I can finally have a Toontastic summer. Oh my goodness! Thank you so much, TTR team! This is an awesome system you have going on! I'm happy to finally have an account as well as the launcher on my computer at last. Can't wait for my scheduled PlayTime. Toons of the World, Unite! Oh man, OH MAN!! I'm SO happy!! WOOHOO!!! This is great news! I cant wait to play! Awesome TTR Team! You just made a ton of toons' days! Way exciting news, can't wait to check it out. If you go in the que, will you receive an email when it's your turn? YES YES YES YES YES! I AM SO HAPPY I'M GONNA CRY... No, not really, we gotta pie those Cogs! No time for sadness! THANK YOU SO MUCH!!! 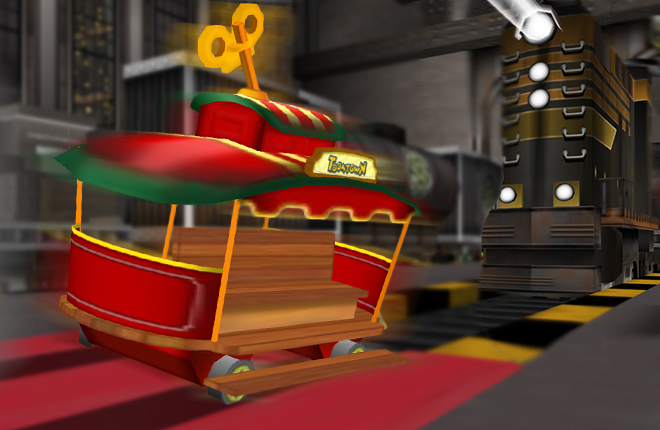 I've been waiting for ages for something like this to happen, and now I'll be on TTR at 6 AM Toontown Time tomorrow. I can't wait! Thank you guys so much! I've been waiting for this for a long time! I can hardly wait till the time I've scheduled!!!! Yay! I've scheduled a playtime. Can't wait for June 7th at 1 AM! (perfect time?is it just me or at 1AM-3AM I'm more focused to get things done?) Beta key here I come! Thank you so much for doing this. You have no idea how happy my family was to hear the news :) So much has been going on in our lives... we'll be happy to have something fun and toon-y. We can't wait to play with everyone! This is amazing and beyond awesome!!! Thank you to all the devs so very much, I wish I could give each one of you a Big Toony Hug! Happy Birthday Toontown! so excited!!! I can hardly wait. Thanks SO much, you are awesome. Can't wait! Hope I can get in soon! This is great! It's a really good system for all those who haven't had a key this whole time! I can't wait to play! SO very excited! To everyone---I will be on at 9 o'clock Eastern Time!! To TTR-THANK YOU THANK YOU THANK YOU!!! I started to think you were forgetting about us looking in, but then you posted this and I am so happy!!! OMG OMG OMG! I can't believe I am reading what I am reading. After 9 months in development, this was TOTALLY WORTH THE WAIT! Thank you so much Toontown Rewritten Team! Happy 11th anniversary everyone! Man, those spots fill up quick! Shows the love that still remains with the new rewritten version! Going to live stream it! I can't tell you how thankful I am towards all your work to bring the game back to us! OMG IM SO HAPPY. THANK YOU THANK YOU THANK YOU!!!!!!!!!!!!!!!!!!!!!!!!!!!!!! :D OMG OMG OMG IM FRAKING OUT!!!! AWESOME! I just came back from school in a really bad mood and as soon as I saw this I got into a really good mood again. THANKS SO MUCH TTR! Hey ttrw staff good job on finally opening up the game to us people who didn't receive beta keys. I cannot wait to play except that all of the reserve times are booked up and the play time is over 2 days! Anyway you can help us late toons out a bit? Keep up the good work! 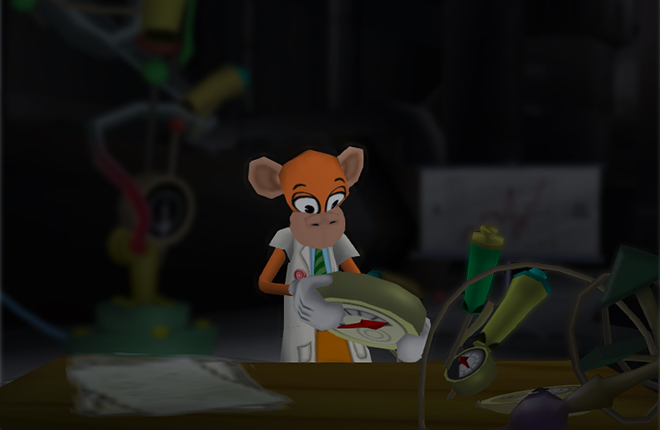 Dear ToonTown Rewritten staff, I have had trouble downloading TTR for the windows. Norton says that downloading TTR is not safe and I cannot access TTR. I was furious! but I cant uninstall Norton. what am I going to do? Hey ttrw staff, thank you for finally opening up the game for us unlucky toons who didn't receive a beta key! Except when I tried to reserve a time there were NO open slots and the play time was over 2 days. Anyway you guys can help us late toons out? Thanks and keep up the good work! This is toontastic! Even if it's just 3 hours for everyone to play, it's something. My little cousin will be glad to hear the news. She'll be ecstatic! Thanks, TTR. You are truly the best. Once again you have left me speechless. This is a day to remember. Thank You guys for what you do. Thx you sooo much TTR team!!! you guys rock! Wow, this is so cool! Thanks so much, Toontown Rewritten team! Happy 11th, Toontown! got an account, installed the software, OH MY GOSH YES!!!!! I even high five my grandma because she was wrong! I just want to say thanks to all the staff for making toontown rewritten such a toontastic game! I think that you guys have made a amazing amount of progress on the game! Open beta thats amazing! Me my twin my and my cousins are so excited! Thank you TTR Team now I feel good that I think everyone can play! Good luck to everyone trying to earn a Beta Key! This is a great idea. Happy anniversary Toontown! It's been an amazing 11 years! Oh my Flippy! This is finally here toons! I hope to see ALL of y'all in game sometime! Thank you so much!!! This is the best news I have got this year! Thank you so much TTR to give me this opportunity! checked right when I got home and saw this news.. I am so happy that my memories playing this game hasn't finished.. thank you so much for those people of who came through to put this game back together.. good luck to everyone playing this game and have a toontastic time! There should be more dates in the schedule a playtime section! Thank you so much. I'm extremely impressed that you guys would do THIS much for us. I mean, just handing out tons of keys was amazing enough, but letting everyone get a little playtime? Absolutely phenomenal! Again, THANK YOU sooo much for all you guys do for the community. We really appreciate all of the hard work you guys have put into the making of TTR! Keep up the awesome work!! See y'all June 4th 11:00pm! Thank you so much! I can't wait to start playing again!! YAY SO AWSOME TODAY IS MY FAV AND ITS MY SISTER BDAY!!!! This is incredibly cool of you guys to do! Thanks for opening the game to folks who didn't get a beta key! I'm so happy to be able to play again. It's been a bit rough for me lately, so this honestly made my week a lot better. This is awesome, gonna be fun to start playing and leveling my toon again. Yes This is what ive been waiting for!!!!!! Eeee! This is so exciting! Keep up the great work guys. All of the efforts are super appreciated. In the meantime, I'm gonna go hop into the Playline! See ya! This is the greatest moment of my life! Finally I can play Toontown again! This has been my dream ever since I first saw it in September. Literally, I've had a few dreams of TTR being open. I can't wait to finally see the game. Thanks TTR Staff! On bahalf of all players residing here in TTR, I would like to say thank you for putting so much hard work into this and being so generous to release just because you know a lot of people will love it. :) Toons, Unite! I AM ABSOLUTELY HYPED ABOUT THIS!!!!! Good Ol' Duke is back!!! My summer is now toonerific!!! At long last, the fantastic game takes another major step towards release. Let's see how things play out in the Semi-open Beta version! Thanks, TTR! I'm so grateful you guys are doing this! For a while I didn't really care for ToonTown, but now that it's gone I miss it more than ever. You guys doing this brings me a lot of hope. Thanks! I can't thank you enough, this will bring my family closer again! This is the best update so far, I can't wait to play TTR. I have waited most of my life for this, and now I'm so happy. Happy Birthday ToonTown. Can't wait to play :D. Yay!!!! I am so excited! Got my slot reserved! TTR is the best! The cogs better watch out! GOODNESS GRACIOUS!!!!!! I CAN PLAY TOONTOWN!!!!! THANK YOU TTR!!!!! YAY IAM GOING TO PLAY THANKS GUYS YOU ROCK!!! You all are absolutely wonderful! Thank you so much! We all thank the TTR team as much as we can and thank you guys so much for never giving up on us or letting us down. Thank you so much for giving us these opportunities again. This is Toontastic! Hehe, My time is from 2 in the morning to 5 in the morning and I'm so excited that I'm not going to miss one single minute of it! Thanks TTR, and great job as always! This is better than a cream pie on a Sunday morning! WOW! Thank you so MUCH!! :D! I get all my memories back! ( lies back in chair and closes eyes ) yes... ( jumps up ) YEEEEEEEEEESSSSSSSSS! WOOOOOOOOOOOOOOOOOOOOOOOOOOOOOOOOOOO! TOONTOWN SHOULD NEVER GO OUT FOR GOOD, TOONS OF THE WORLD, UNITE!!!!!!! Outstanding! But I'm a bit disappointed at the max player limit size and how every schedule is full... But that's okay, I have patience. I love this! Thank you TTR for letting more people play! but i wish tmore open slots would appear cause i cant schedule any playtimes so i would have to wait in line ,and i dont find waiting in the line very promising. but everything else is great! A very happy moment for all of us patient toons :) Thank you so so much staff of TTR, you have made a lot of people really happy again. I must say though i hope there is still a chance for us late toons as some people have mentioned - no open slots available :(. I am so willing to wait some more just for the chance to play this amazing game again i just hope i didn't miss out on this early opportunity! Thank you guys for opening TTR to all! You did a really good and big job in order to make us happy! Holy doodles! Thank you, I'll wait out the 65 hours to play this amazing game! Childhood? YOU CAME BACK TO ME!!!!!!! YEEES I'M SO HAPPY !!!! THANK YOU SO MUCH !!! Thank you SO much, TTR! Thanks to you, I'm able to play my favorite game once again in six days! All aboard the hype train! This is so awesome :D Just got done playing my first session of TTR and I am so excited to be playing Toontown again! I love all of you so much! I can get back to making toontown vids! Yippee, never saw it coming! I deeply appreciate what you guys are doing. I knew somebody would keep the game open and you did it! So thank you for making my year! Best of luck to you! OMG OMG OMG OMG BIGGEST MOMENT OF MY LIFE!!!!!!!!!!!!! THANK YOU! Cant wait to play! Glad you guys are finally opening it. So excited! I have not played Toontown at all yet but now I get to try the greatest game in the universe! THIS IS THE MOST EXCITING DAY OF MY LIFE!!!!! THANKS SO MUCHHHHH! OH PICKLE! Thank you soooooooooooooo much! I absolutely can't wait to be TTR!! I already downloaded the game and now all that is left is to wait for a playtime slot to be open. I have a feeling I won't be able to log in for a while but regardless, I am still excited. I love that the game is finally coming out! I've waiting for so long! Keep up the great work guys. has anyone else been having a giant queue? Everyone has been waiting for ttr to say we all can play. Even 3 hours is enough for us to relive our childhood. Thank You guys so much you guys rock :D :) !!!!!! Thank you so much guys! You guys are doing great on the game :D !!!!!! I am so excited to play toontown again! :D THANK YOU GUYS SO MUCH! I'm excited I just think I'd be ever more ecstatic if I actually got to play. Oh my, thanks guys! I'll be sure to try it if I can! You guys are the greatest! This is so unexpected!!! Nice update to the PlayLine page! It looks more nicer! Good job guys; you've achieved so much in such a short space of time. I think I speak for all of us when we say how much we appreciate all your hard work. All the slots are full as I check now, but I am happy to wait that little bit longer in the knowledge that you have recreated this special game for us. Congrats, an see you in toontown soon! Just had my first visit in TTR and it felt like I had never been away, Thank you TTR for giving me the opportunity to play again. Thank you so much guys. I can have a toontastic summer now!!!!! THe only issue i have is the wait time. I got in then it went from 14 hours to 102 and it also said application error quiet a few times. Thank you!!!!!!!!!!!! Wow! :) I'm so excited! Now THIS is a Toon-tastic summer gift! Thanks TTR team! Haha! you guys are wicked! i love you guys! I cant wait to start playing. And im really hoping each and every one of us gets the chance of earning the beta key! from a toon task! this is gonna be great. Remember guys schedule a time and start working hard to get the task! GOOD LUCK TOONS! TOONS OF THE WORLD UNITE! Thanks ToonTown Rewritten for doing this! Best MOMENT of my LIFE! O MY GOSH! THANKS TTR!!!!! I CAN FINALLY PALY TOONTOWN AND HAVE FUN!!! (: THANKS FOR THIS!!! Thanks so much guys! Can't wait to start playing! Finally! Back in business we reunite once again! See you all in the game. Thanks to everyone who made this game alive! This is a great time for everyone because its summer! Thanks all, can't wait to get a chance to play! Great! Now I can prepare to get my pockets loaded, even though I don't have a beta key! Omg I cant believe that it is open this early I cant wait to start playing ttr!!! XD I have to wait in line 132 hours before I can get in. So worth it. LOVE YOU ALL!!! Yesss! Finally! I've been waiting so long for this! Ever since both of my favorite games ended (Free Realms & Toontown) you guys had the heart to create a Toontown Rewritten. Thank you so much! I LOVE EVERYONE I SEE TODAY M SO HAPPY!!!!!!!!!!!!!!!!!!!!!!!!!!!!!! This is AWSOME!, but when do u think that the full game will be released?? Cool! i can back to this awesome Game! Thanks TTR! I'm ready to get my toon on, THANKS TTR! I am the happiest toon in the world! Make that the Universe! Now that the game has opened, me and my cousin can finally play our favorite game again! Wow! I'm seriously jumping for joy. Thank you for making this. This is amazing! it's just really hard to get in. Every time I go on i look to schedule a time and its all booked. I can't wait for the full game to come! I've been waiting this long and now I get to play! Thank you! You're the best! WOW! Thanks TTR Crew! Now I can play toontown and enjoy it with the rest of my family! THNX! I just wanted to say that I found some bugs during my 3 hour playtime. 1. Overall Performance - Many large lag spikes, and the game froze many times for me and many other people. This took place during the 3 a.m. pst playtime, and there was na average of 310 people on. 2. Glitchy Activities - I would go to fishing / a NCP and it would act like it was working, but nothing would come up and I couldn't move. This happened during fishing, talking to the fishing person where you sell the fish at, gag shop, and some other places. 3. Accuracy? - I missed 5 throws in a row -_-. Idk if that is just bad luck but lol I face palmed hard from this. Thank You Toontown Rewritten for all you have done! Really looking forward to playing again!